Is dating your spouse a priority? If so, are the dates the quality that they need to be? This podcast from Awesome Marriage is all about quality time in marriage and different ways to find quality time. We’re re-airing this podcast so you can benefit from the practical ways Dr. Kim and Christina discuss to make dating in marriage a priority and how to have a great date. In this episode Dr. Kim answers the question: How do you guard your heart when you are dating? Learn more about becoming a Marriage Changer here! Many of us try to communicate but have trouble finding the words, so we get passive aggressive. The problem with that though is it doesn’t communicate what you need it to. It doesn’t solve any problems and usually creates more. How do you know if you are being passive aggressive? How do you work towards better communication? How do you deal with a spouse that’s passive aggressive? Dr. Kim and Christina discuss all that and more in today’s episode. Is your smartphone ruining your marriage? Screens are everywhere and too many of us are spending too much time on them. 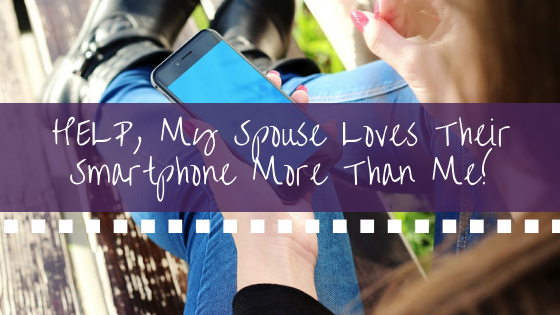 One huge way you can increase quality time in your marriage is by minimizing screen time. This podcast aired last year, and we are highlighting it again today as Dr. Kim and Christina discuss practical ways to reduce screen time, set boundaries, and make sure your spouse is a priority over your devices. Today on the podcast we welcome back Gary Thomas. Gary Thomas is a bestselling author and international speaker. We’ve had Gary on the podcast in the past talking about how to cherish your spouse. In this episode Dr. Kim & Gary about one of our favorite topics, engagement. In Gary’s new book, Preparing Your Heart For Marriage, he coaches engaged couples on how to grow closer to the Lord in the days leading up to the wedding as a means of preparing them for all the days after the wedding. Tune in to learn more about how to prepare your heart for marriage! Order Gary’s book, Preparing Your Heart For Marriage. This is a podcast that aired last year that we wanted to highlight again because it’s such an important topic that we don’t stop to think about enough. In this episode Dr. Kim has special guest Debra Fileta with him. Debra is a licensed professional counselor who specializes in dating, marriage, and relationship issues. In this episode Dr. Kim & Debra talk about Debra’s book, Choosing Marriage. Choosing Marriage is about the beautiful exchange that occurs when spouses learn what it means to choose “we” before “me.” Her book is super practical and sure to help many couples! It walks through 8 significant choices involved in taking marriage from hard to great. In this episode Dr. Kim & Christina talk about how to be mindful about what we post online, where so many are getting this wrong, and practical tools for boundaries in this area. Today on the Podcast we have Drew & Natalie Hill. Drew Hill is a pastor and author in Greensboro, NC. He is also on staff with the national Young Life office and provides resources for thousands of youth leaders around the world through his blog at YoungLifeLeaders.org. Drew has met with hundreds of parents who have been trying to figure out how to connect with their teenagers and communicate the gospel to them in a way their kids would understand. He has often wished he had one go-to resource that he could hand them. So he decided to create one! And that’s just what he did in his new book, Alongside: Loving Teenagers with the Gospel. Today Dr. Kim chats with Drew & Natalie about Drew’s new book and how to come alongside teenagers well and face the issues that are at hand today. Tune in to hear about how to parent teenagers well in the culture we live in today! You can order Drew’s book here. This is a podcast that aired last year that we wanted to highlight again because it was so inspiring to so many the first time it aired. In this episode Dr. Kim has special guest Rhonda Stoppe with him. Rhonda is an author and speaker dedicated to helping women live life with no regrets. She has more than 30 years of experience as a marriage mentor, pastor’s wife, author and speaker. In this episode Dr. Kim & Rhonda talk about her book, Real-Life Romance. Real-Life Romance is a book made up of 25 stories of couples who have found extraordinary love. Rhonda shows how in each case God was at work in the hearts of His people. Tune in to be inspired by these love stories!